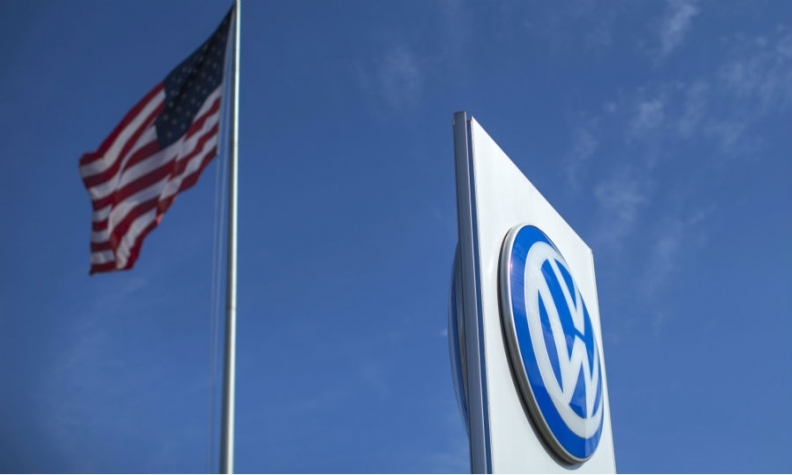 SAN FRANCISCO -- Volkswagen Group said there will be no need for a trial in the U.S. this summer over damages related to its rigging of 600,000 diesel vehicles to cheat pollution control laws. VW does “not believe” an expedited trial will be necessary after the company updates a judge April 21 on its proposed solution to address the polluting vehicles, the company said in an agenda for the hearing. In the same filing, lawyers for about 600 plaintiffs in the case asked for preparations for a summer trial “dependent on the status and progress” of VW’s proposal. U.S District Judge Charles Breyer in San Francisco, who is overseeing more than 600 lawsuits against the company, has indicated that a summer trial might be necessary if VW can’t get the polluting vehicles to slash NOx emissions or get off the road. The judge set the April 21 deadline for the company to submit a detailed plan. Volkswagen admitted last year that it had manipulated diesel engines with a “defeat device” on some 11 million cars worldwide so emission controls switched on only during pollution tests. A plan to fix the 8.5 million noncompliant cars in Europe was approved in December but failed to meet California’s emissions standards. Investigators are struggling to make headway through data secured from more than 1,500 laptops and other devices that might prevent them from filing a complete report on the carmaker’s emissions cheating by the end of the month, according to people familiar with the status of the investigation. Volkswagen and U.S. regulators have expressed doubt as to whether the cars can be fixed at all. A California regulator in March told state legislators it was unclear if a solution aside from scrapping the vehicles was possible. “We do not believe any of the three generations of vehicle technologies for the 2.0-liter vehicles can be repaired to meet their certified emissions levels,” Todd Sax, chief of the California Air Resources Board’s enforcement division, told a California Senate committee. Jeannine Ginivan, a U.S. spokeswoman for VW, didn’t immediately respond to a request for comment on the talks. Nor did Julia Valentine, a spokeswoman for the U.S. Environmental Protection Agency.